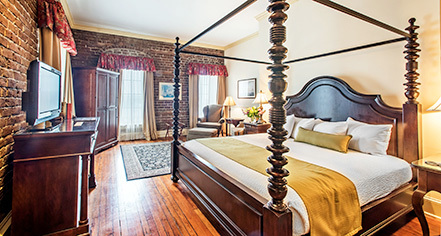 River Street Inn’s rooms vary in theme and decor, from hardwood floors and four-poster beds, to plush carpeting and private balconies. 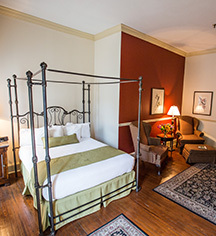 All 86 guestrooms are well appointed, offering views of the Savannah River to the north and Savannah’s Historic District to the south. Step out onto the French-style balconies to watch the huge ocean freighters pass or watch the night sky through the floor-length windows lining the top three floors of the building.